Fluxbox is a windowmanager for X that was based on the Blackbox 0.61.1 code. It is very light on resources and easy to handle but yet full of different features. IceWM is a window manager for the X Window System. The goal of IceWM is speed, simplicity, and not getting in the user's way. Xfce is an easy-to-use and easy-to-configure desktop environment using the popular GTK+ toolkit. Metacity is a window manager for GNOME. It uses GTK+ 2 for drawing window frames, meaning that it inherits colors, fonts, etc. from the GTK+ theme. GNOME is a popular desktop environment for Linux and Unix-like systems. It offers a complete desktop solution with software that has the same look & feel. KDE is another popular desktop environment for Linux that seeks to fulfill the need for an easy to use desktop for UNIX workstations, similar to Mac and Windows. 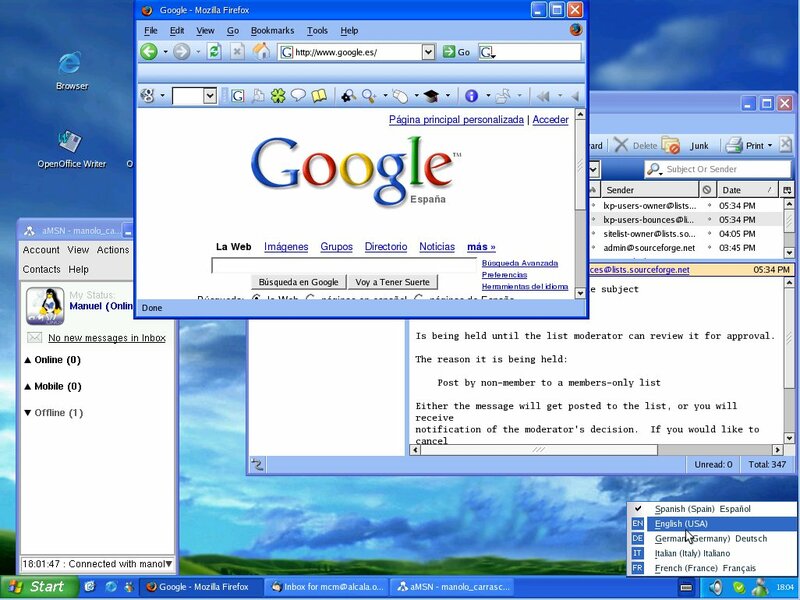 Window Maker is an X11 window manager that tries to reproduce the elegant look and feel of the NEXTSTEP user interface. AfterStep is a window Manager for Linux that was originally based on the look and feel of the NeXTStep interface. Sawfish is an extensible Linux window manager using a Lisp scripting language. Enlightenment is a window manager for the X11 windowing system. Its design goal is to be as configurable as possible - in look AND in feel. FVWM is a powerful ICCCM-compliant multiple virtual desktop window manager for the X Window system. Fvwm95 is a window manager with Windows-95 look and feel. It is derived from the well known fvwm. Qvwm is a window manager for the X Window system which provides a user experience very close to Windows 95/98. It is small and extremely fast. Blackbox is that fast, light window manager you have been looking for without all those annoying library dependancies. LXP is a project that provides Linux/Unix users with a desktop that has a Microsoft WindowsXP "look & feel" that is nearly identical to the real thing.